Brooke Grove Foundation — JSR Associates, Inc.
Brooke Grove Foundation has been a repeat client for JSR Associates, Inc. since 2002. Initially, JSR was contracted to conduct the necessary preliminary research, to create and submit Brooke Grove Foundation’s Feasibility Study to the Maryland Department of Aging to become a certified CCRC. 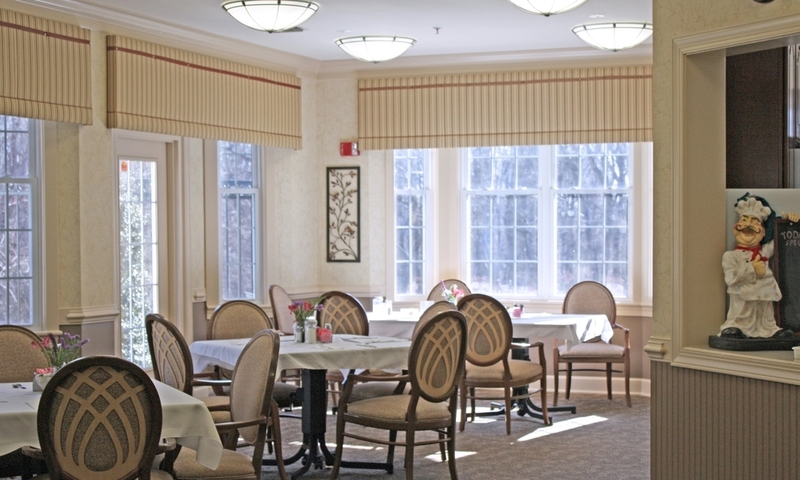 Subsequently, JSR was asked to complete interior design and senior living consulting for the four Meadows, Brook Grove’s assisted living buildings which include 16 residents each. Design work included creating public spaces that have a residential scale yet allow for larger social functions; space planning and analysis; finish material and color selection; furniture selection and procurement; and innovative thematic signage and artwork installation. 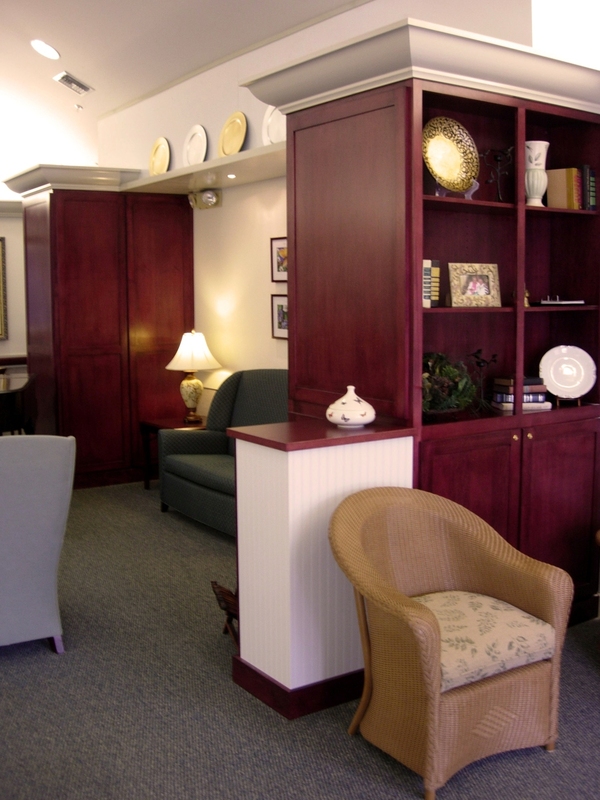 The transitional environments include appropriately dimensioned upholstered furniture that not only incorporates the needs of the staff and residents but also provides an updated marketable space.